Spectacular mountain views and warm desert nights are just two of the features of Sun Dune Villas, just an hour east of San Bernardino. The Villas are centrally located and offer easy access to shopping, restaurants, and casinos. 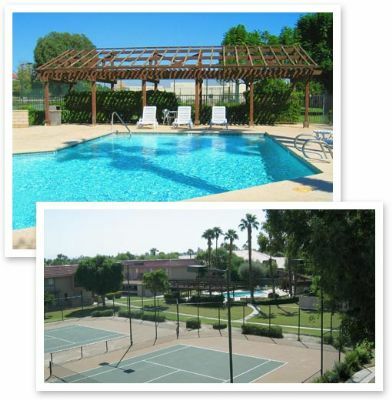 Guests can enjoy spending time at the swimming pool, relaxing in the spa, or getting some exercise at the lighted tennis courts. 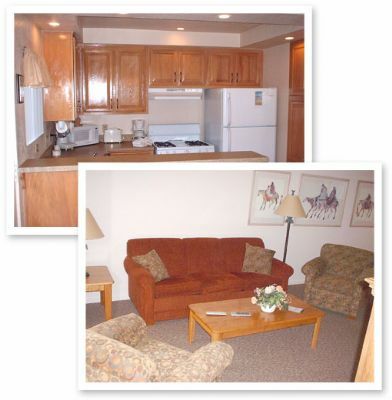 The Palm Desert timeshares for sale at Sun Dune Villas offer two-bedroom units. These units will sleep up to six people and feature a full kitchen, a spacious living area with air conditioning, flat screen television, and free Wi-Fi. You will feel right at home with the family whether you are relaxing with a movie in the evening or creating a delicious breakfast before heading out for the day. On-site amenities include a heated swimming pool and spa where you can enjoy the beautiful weather and time with family and friends. The lighted tennis courts are perfect to challenge your significant other to a match or just spend some time cooking up in the BBQ area admiring the tropical atmosphere. There are laundry facilities available for guest use, making these timeshare villas convenient for families with children. If you enjoy golf, set up a tee time at one of the local championship golf courses or plan a day at one of several casinos nearby. You can take the kids hiking in the mountains, to the local water park, or the Living Desert Zoo and Gardens just a few minutes from your villa. When planning your next California vacation, consider the options available with Palm Desert timeshares for sale. The units available with Sun Dune Villas are great whether you are traveling alone or bringing family and friends to enjoy a getaway. You will be just minutes from Coachella Valley Preserve - Thousand Palms Oasis Preserve or Joshua Tree National Park where you can spend hours in the great outdoors. There are also opportunities for shopping at several nearby malls and local boutiques in addition to excellent restaurants. Get ready to begin making memories during your relaxing and peaceful oasis vacation. Contact Sun Dune Villas Specialist Today! Days: Sunday, Monday, Tuesday, Wednesday, Thursday / Time: 4:30 P.M.